I took the above pic last night, nearly 2 weeks into my contest prep for the bikini division. It's crazy to think that Lionel the kidney cancer mass/tumor lived in there and was extracted (along with Mr Right Kidney) just 5.5 months ago. I was bloated for about 3 months after the surgery but decided to have manual lymphatic drainage, which certainly helped. I have been in contest prep for 2 weeks now and am happy to see changes - I have lost 2% body fat and 3.5kg. The main focus (body wise) right now is to cut cut body fat and build lean muscle, it's a cool process to witness. 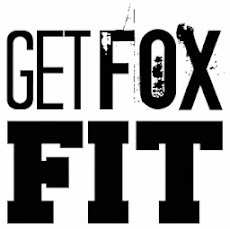 I am writing all about it on my other blog (GetFoxFit). Great content written by the author. Will definitely refer it to my friends.